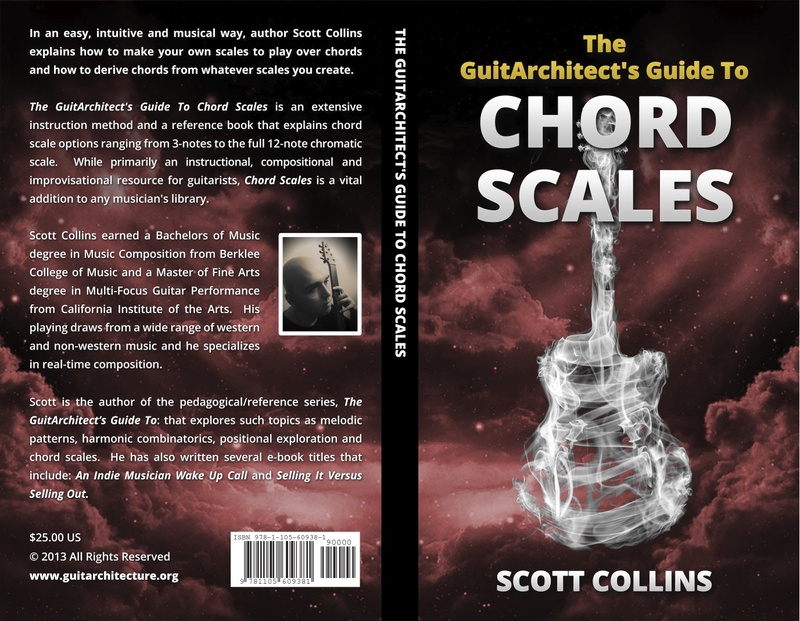 In The GuitArchitect’s Guide To Chord Scales, I show you how to make your own scales to use over chords and how to derive chords from whatever scales you come up with (no matter how crazy!) in an easy, intuitive and musical way. 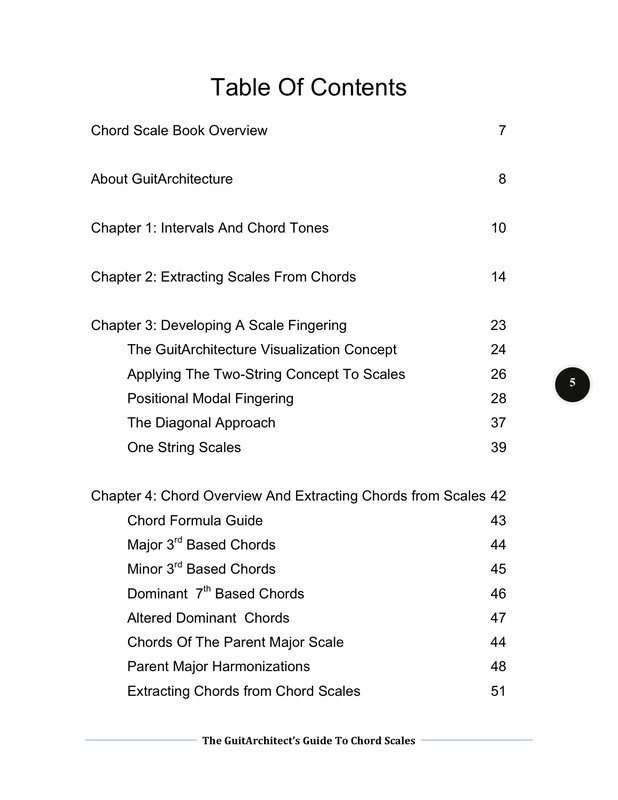 Over the course of its 190 pages, the Guide To Chord Scales not only offers extensive instruction and approaches, but also acts as a reference book covering chord scale options ranging from 3 notes right on up to the full 12-note chromatic. 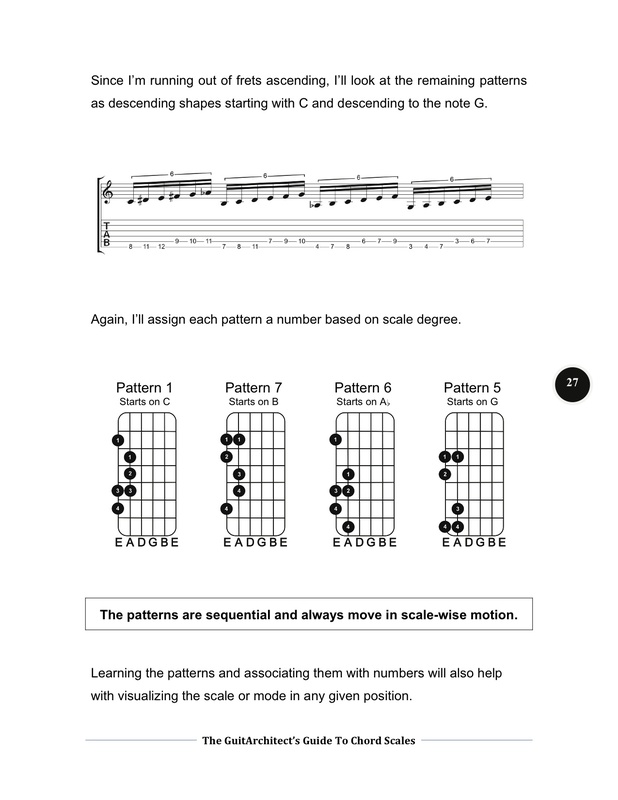 While devised as a guitar resource for instructional, compositional and/or improvisational material – this book can be a vital component in any musician’s library. 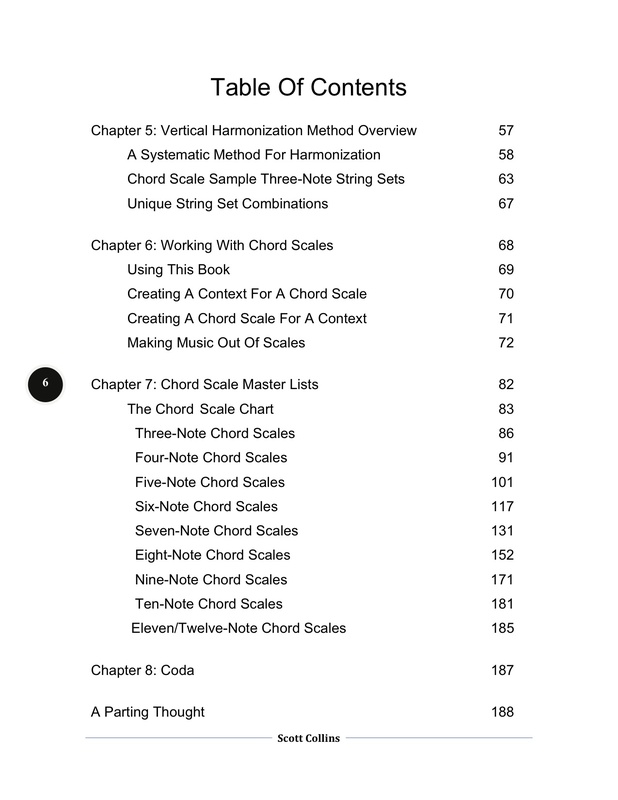 Chord Scales is 190 pages of instruction and reference. It’s the shortest book I’ve written, but it’s just as deep as any of the other books in the series. 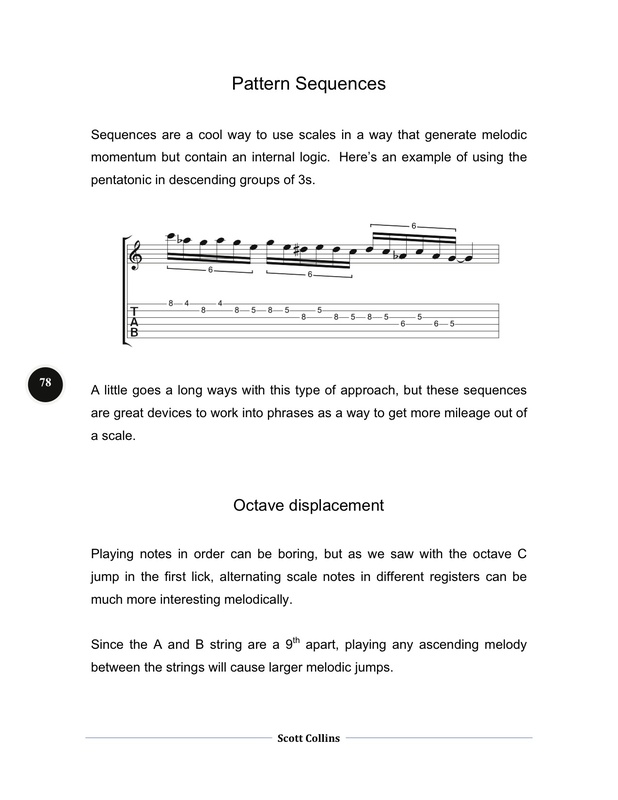 The big difference between this book and the other books, is that this book starts by taking one chord scale and really putting it through the ringer and demonstrating how to use it in ways that are intuitive and musical. 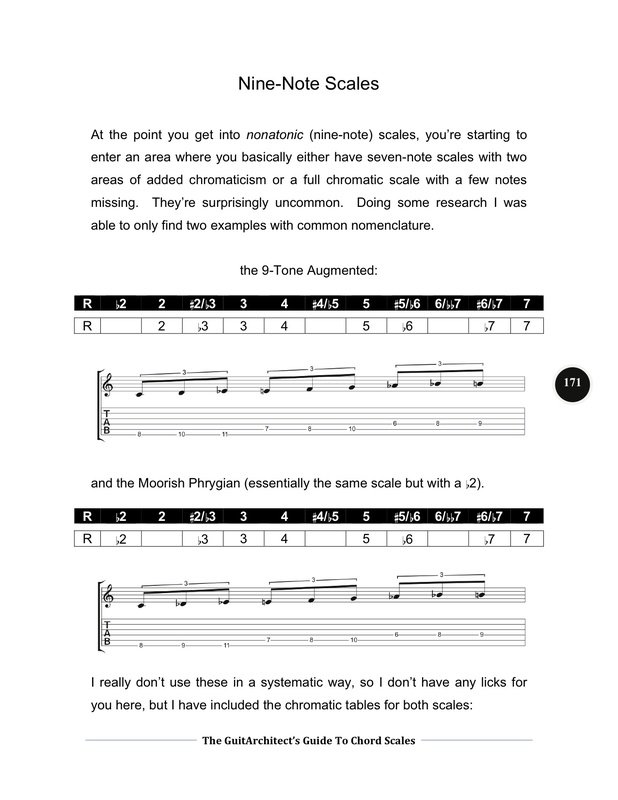 After the process for working with a chord scale is demonstrated, the book then goes on to outline all the unique chord scales from three-twelve notes!!! The book has a number of performance insights and presents the material in a way I believe to be truly unique (at least I’ve never seen it dealt with this way before). 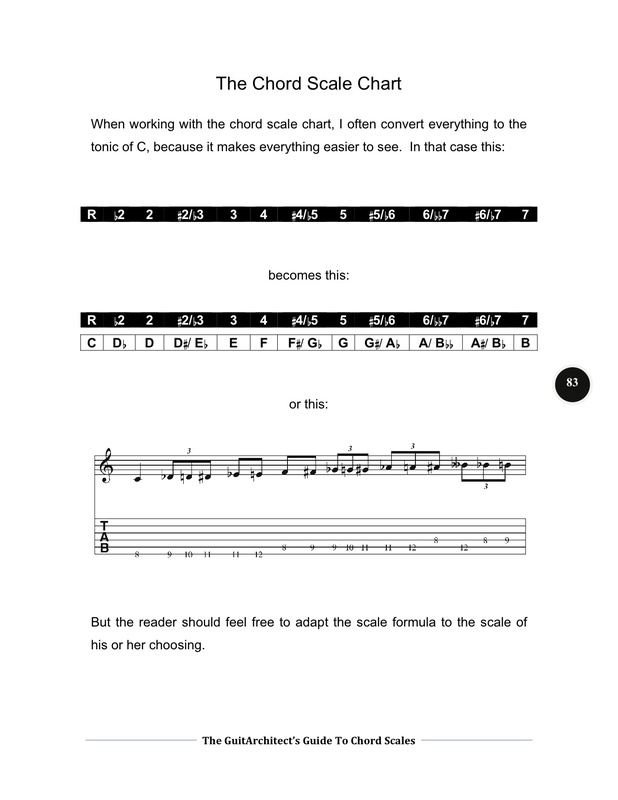 It’s incredible exciting to me, and while it’s been written as a soloing, compositional or improvisational resource for guitarists – it could be invaluable to musicians in general. 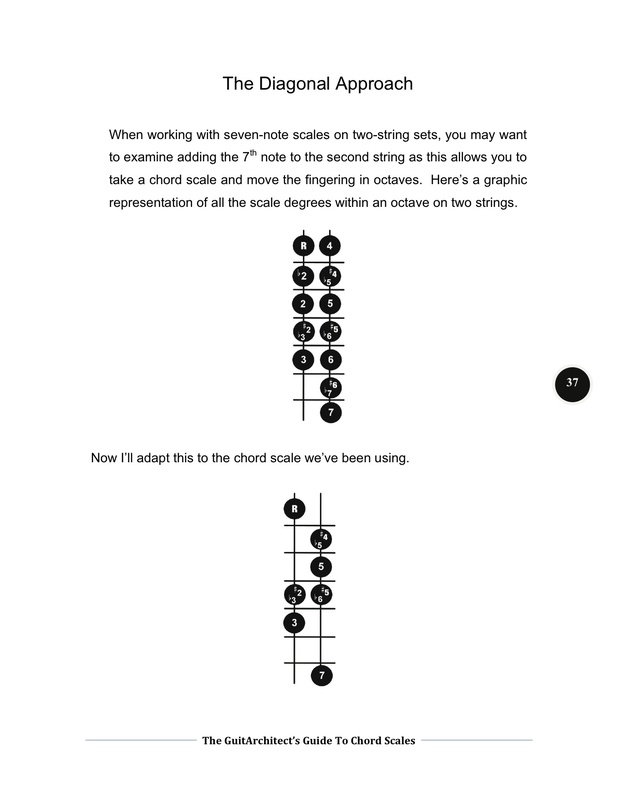 The lulu.com page includes a preview option for the first 12 pages of the book, but I’ve included some additional jpegs of some of the Chord Scales book pages below. Since the jpegs were converted from the pdf of the book, there’s some pixelation in the jpegs that’s not present in the pdf, but these will still give you an idea of what’s in the book.